Badminton, swimming, tennis- are few sports that we often associate as sports that girls play. But today, young girls and women across the nation are coming forward and breaking these stereotypes. Here is the enthralling story of Prachi Tarwan who is an agent of change and believes that no dream is ever too big or small, but every dream needs hard work and determination. 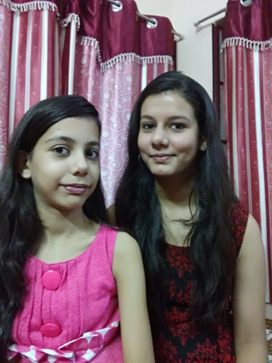 16-year-old Prachi is a whirlwind of enthusiasm and positive energy. Currently, preparing for 10th boards, she is a national level shooter too. During our conversation, we were surprised to hear about her passion for shooting, and how she balances her love for the sport, music, and studies. Prachi’s love for shooting was ignited when she first saw participants win gold/silver medals at regionals shooting event at her school. She found her calling in that shooting arena and started her journey towards becoming a successful national level shooter. 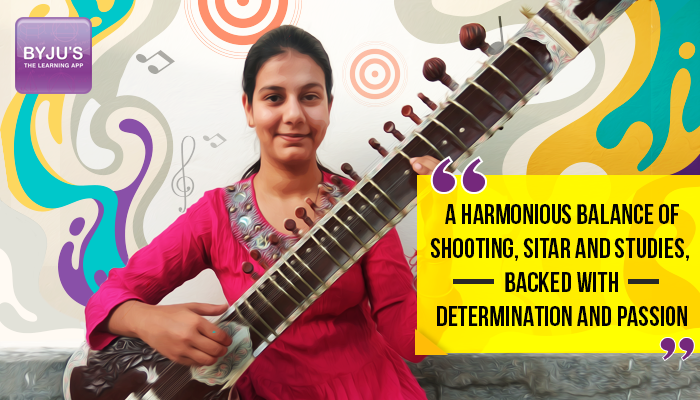 Prachi’s decision to give shooting a try in the 7th grade proved to be an asset for her academic journey too. Shooting requires a lot of concentration and focus, and she channeled the same energy to ace her examinations. As she moved on to join the national team, study pressure mounted. Her busy training schedule made it hard to keep up with her classes. 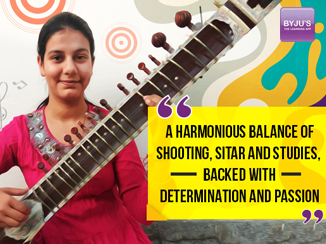 A student at Mayo College Girls, a renowned boarding school in Ajmer, Rajasthan – Prachi is also a professional sitar player. During her free time, she loves going through her lessons on the BYJU’S app. 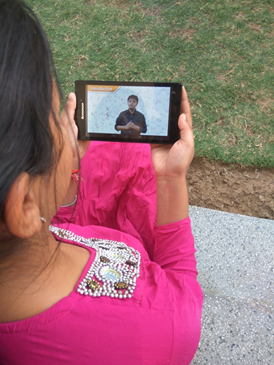 Her younger sister too joins her as she loves the animations and finds the projections in the videos very intriguing. A big fan of Biology, Prachi finds Divya Ma’am’s lectures the most engrossing ones. Chapters on plants and circulatory systems are the most fascinating topics when it comes to Biology, and she also loves Organic Chemistry, a topic which is the nemesis of most school students. Prachi often ends up missing out on classes due to her training sessions or competitions. Hence, for her, dividing time between shooting training sessions and 10th board preparations gets very taxing. But according to Prachi, her main source of tension has been eliminated as she can always catch up on the missed chapters on the BYJU’S app. Prachi’s journey tells the story of changing times and reforming attitudes towards balancing education with personal talents or interests. Prachi’s determination and resolute nature has guided her into pursuing her passion without losing sight of her education. The future for young girls across India is bright, and empowering them to study and learn better along with pursuing their passion is a feat we at BYJU’S are striving to achieve. Reaching out to them may not be the easiest of tasks, but it is a challenge we take up with great fervor to ensure equal access to education across the country. Special thanks to Mohammed Abrar for being her mentor from BYJU’S and helping Prachi learn better. Follow us on Facebook and read our My BYJU’s Story on our blog for more stories from across the country on how BYJU’S is transforming the way children learn in India.